You basically have to wear a scarf in the winter (unless you like feeling freezing or are fortunate enough to live in Southern California), so you might as well put a little thought into it, right? Just as not every style of shoe works with every outfit, not every type of scarf works with every outfit. For example, if you're wearing track pants and going for an athleisure-themed look, you're probably going to want to avoid a fancy silk scarf. 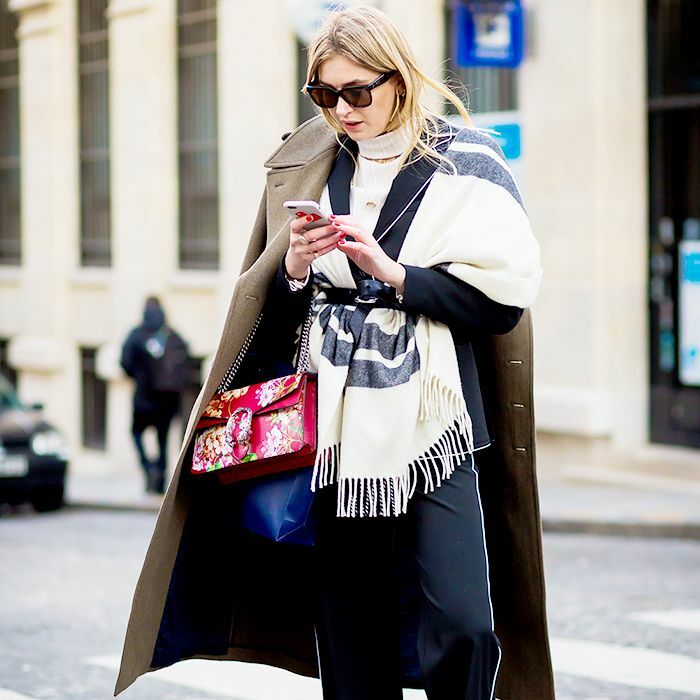 To ensure that you're never second guessing yourself when choosing what scarf to wear this winter, we found five common types of scarf outfits that fashion girls wear on repeat, which should give you a clear idea of the five types of scarves you should own and what to pair with them. If we do say so ourselves, this might even make you wish for cold, scarf-worthy days. Read on to find out how to choose the best type of scarf for every outfit. As Olivia Palermo proves, if you're going to go for a very forward look, let your scarf reflect that and opt for a faux-fur stole. When the rest of your outfit is office-ready, you want your accessories to follow suit. Your best best is to stick to a classic wool or cashmere scarf in a solid neutral or a subtle print. With the popularity of streetwear-inspired looks this year, we suggest investing in a scarf that suits the vibe. You can't go wrong with a logo scarf, as long as the rest of your outfit doesn't contain obvious logos. 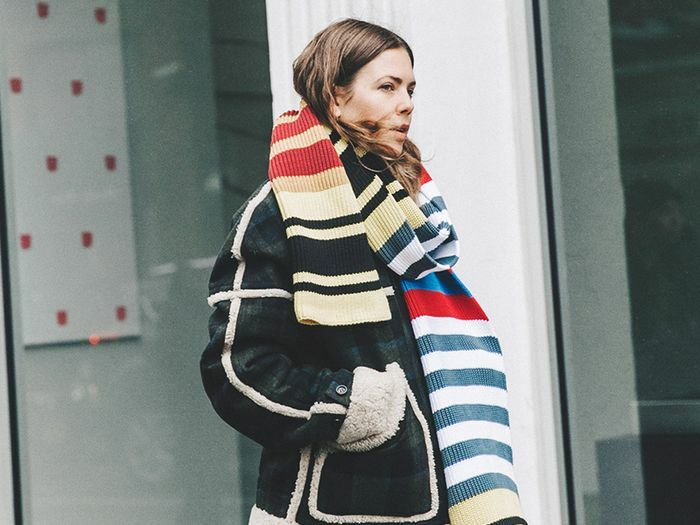 A striped scarf is the ultimate preppy winter accessory. You can either opt for something neutral and versatile, or have fun with it and choose something bold that gives your look a pop of color. While it may not be the warmest, the perfect type of scarf to wear with something feminine is a pretty silk scarf knotted around the neck. Next up, check out 15 new ways to tie your scarf this fall.